"Meaning comes from what you believe, value and understand about yourself and the world around you. By finding meaning and purpose in your life, you can have more joy and less stress each day." 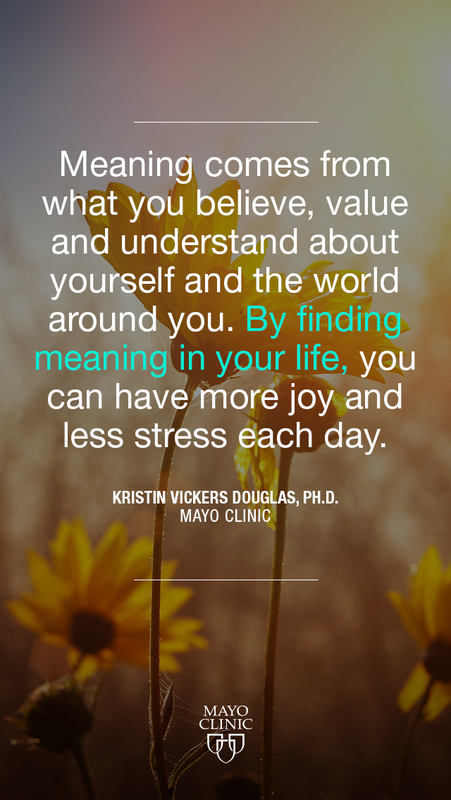 – Kristin Vickers Douglas, Ph.D.